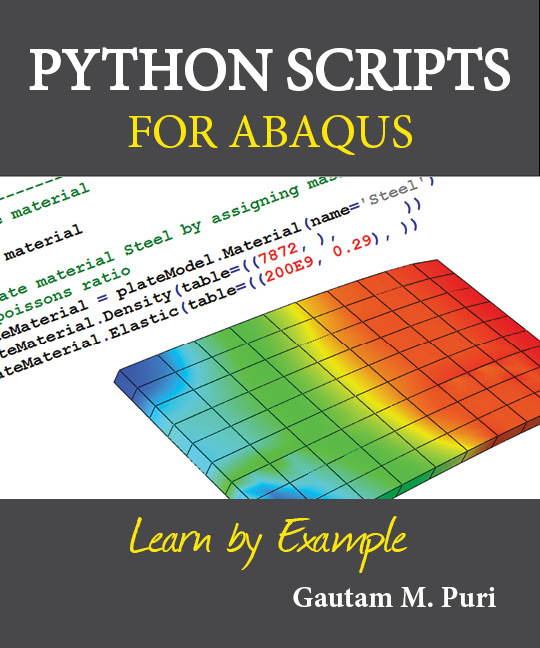 Gautam Puri has been writing Python scripts to run simulations in Abaqus since 2005. His first script was for a research project by the Systems Realization Laboratory at the Georgia Institute of Technology and partially sponsored by the US Army Research Lab. The project studied the optimization of material properties as well as layer dimensions of blast resistant panels. The parameterization of the model, followed by iterative changes for optimization purposes, was made possible using a Python script. Gautam has Bachelors degrees in both Aerospace Engineering and Mechanical Engineering. He is currently back in school pursuing a Masters in Aerospace which he will complete in May 2012. A large focus of his masters degree has been aerodynamics/fluid mechanics. This includes computational fluid dynamics (CFD) where he has experience writing his own grid generators and Navier Stokes solvers. At the same time he is continuing to work with FEA (Abaqus) and is currently researching crack propagation using cohesive elements as part of his graduate research. Gautam is a proficient programmer having worked with C, C++, FORTRAN, Java, Perl, Python, VisualBasic, and C# (.NET). He is a CompTIA A+ certified computer technician (not practicing). He is also very interested in Mechatronics and Machine Vision applications and enjoys tinkering with PIC Micros and Arduinos. 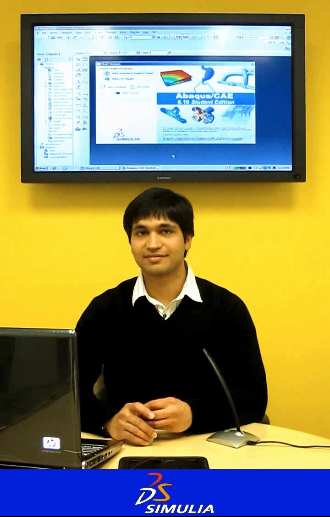 Gautam created the Abaqus Tutorial Series for the SIMULIA Learning Community (SLC) while working at Dassault Systèmes. These videos include enhanced versions of ones on the popular YouTube channel AbaqusPython. They can be viewed for free at www.simulia.com/learning/. Subsequently he created the Isight training series for the workflow design and optimization software from SIMULIA, which is also available on the SLC. Contact: abaquspython@gmail.com (for book related queries). Message from author: Please don't ask me for help with your Abaqus simulations. I get a lot of these emails and am unable to respond due to other commitments.